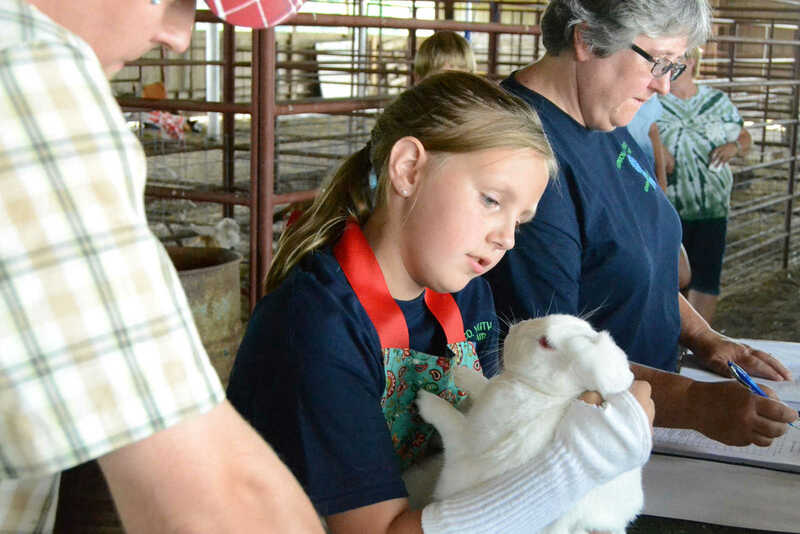 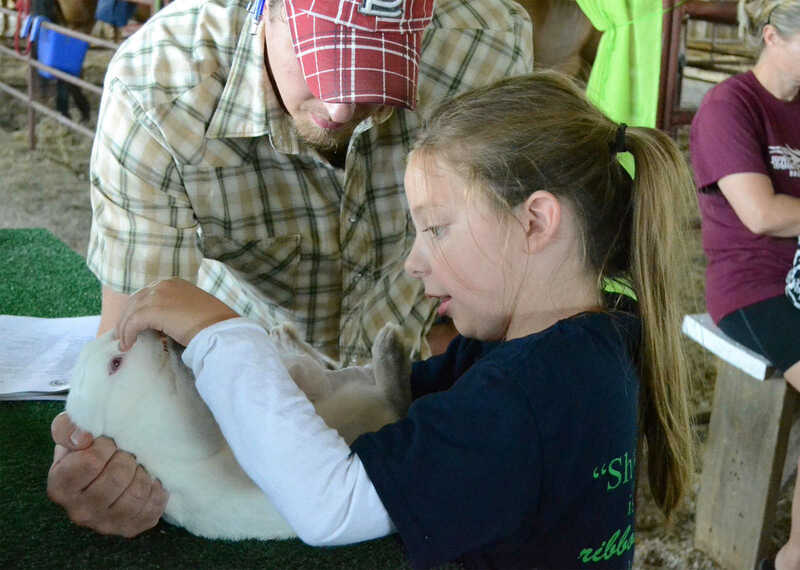 Emma Claspill checks her rabbit at the Youth Fair. 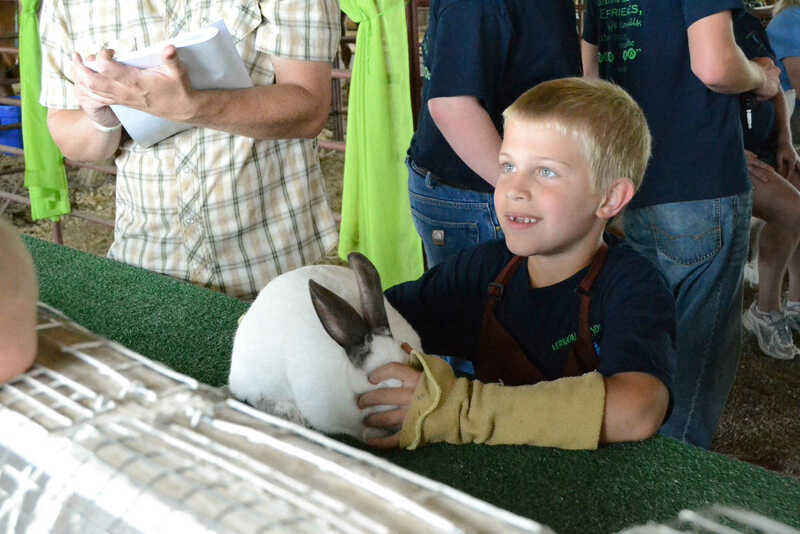 Brayden Gast brings his rabbit for judging at the Youth Fair. 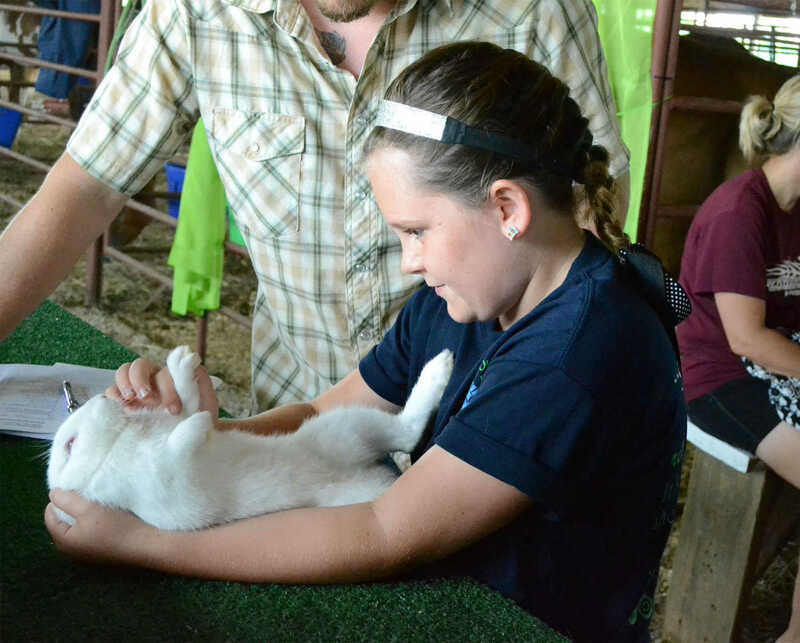 Carlie Jenkins checks her rabbit's teeth at the Youth Fair. 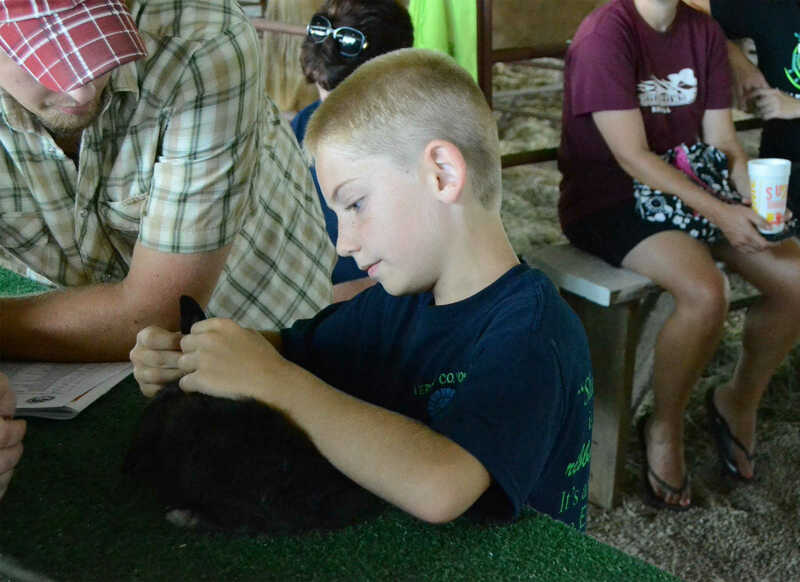 Bryson Jones checks his rabbit's ears at the Youth Fair.